For those who are under the age of 30, it may seem like retirement is a long ways away. However, it is important to start thinking about retirement as soon as you get your first paycheck. if you are currently 30 or younger, what steps should you be taking to prepare for your retirement? 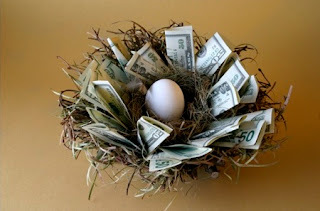 Contributing to your IRA as well as a 401k through your employer will allow you to start a nest egg that will accrue interest until you retire. If you start off your career strong in a management trainee program then a 401k should be readily available to you. Additionally, these contributions can be used to reduce your taxable income for the current tax year. When you first start working, there is a good chance that you will have a lot of student loan debt. You may also have credit card debt to deal with. Therefore, it is important that you make a plan to get rid of your debt as soon as possible. This will allow you to invest more of your money as you get older. It is important to understand all of your investment options as it relates to your retirement. At some point, you may want to invest in real estate, buy gold and other safe investments that will grow in value as you age. These investments can offset losses that you may experience in the stock market. Don't put all of your money into stocks or a Roth IRA. Instead, make sure that you have stocks, bonds as well as a mix of IRAs. This will allow you to save money on taxes now while also generating tax-free income in the future. It will give you options as to how you want to prepare for your retirement as you move forward. Even if you don't have a lot of money, make sure that you are saving a little bit each week. A few dollars a week will add up between now and the time you turn 30. Once you are 30, it will be easier to find work that will pay you a living wage. It is important that you have the knowledge necessary to properly save for your retirement as soon as you start working. Diversify your investments, get rid of debt as soon as possible and make sure that you are putting away a little each week even if you don't make a lot of money. It's really hard to stick to the saving plan when you are still young and have just started working. However, I agree that it's really important , and people should start thinking about retirement even if they have just started working.